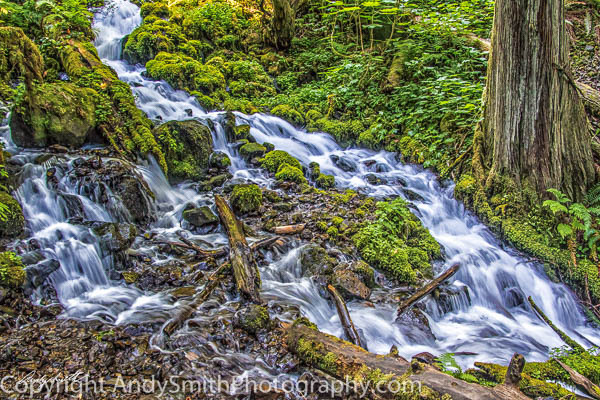 The Wahkeena Creek flows into the Columbia along the Columbia River Gorge Scenic Highway. The upper part of the Creek has a medium sized falls but most of the Creek is a series of tumbling rapids. A popular trail follows the Creek from the highway to the top.